Many ancient cultures speculated on the nature of the human mind, soul, and spirit. Psychology as a scholarly study of the mind and behavior in Europe dates back to the Late Middle Ages. It was widely regarded to a branch of philosophy until the middle of the nineteenth century. During the last quarter of the nineteenth century, however, psychology in the West began to be seriously pursued as a scientific enterprise. In 1879, Wilhelm Wundt founded the first laboratory dedicated exclusively to psychological research in Leipzig, Germany. Other important early contributors to the field include Hermann Ebbinghaus (a pioneer in studies on memory), William James, and Ivan Pavlov (who developed the procedures associated with classical conditioning). Sigmund Freud developed his psychoanalytic method, which revolutionized the treatment of psychological disorders. Soon after the development of experimental psychology, various kinds of applied psychology began to appear. G. Stanley Hall brought scientific pedagogy to the United States from Germany in the early 1880s. John Dewey's educational theory of the 1890s was another early example. In the 1890s, James McKeen Cattell adapted Francis Galton's anthropometric methods to generate the first program of mental testing. The twentieth century saw a rejection of Freud's theories of mind as being too unscientific. This led to the formulation of behaviorism by John B. Watson, which was popularized by B. F. Skinner. Behaviorism proposed epistemologically limiting psychological study to overt behavior, since that could be quantified and easily measured. Scientific knowledge of the "mind" was considered too metaphysical, hence impossible to achieve. The final decades of the twentieth century saw the rise of a new interdisciplinary approach to studying human psychology, known collectively as cognitive science. Cognitive science again considered the "mind" as a subject for investigation, using the tools of evolutionary psychology, linguistics, computer science, philosophy, and neurobiology. This approach proposed that a wide understanding of the human mind is possible, and that such an understanding may be applied to other research domains, such as artificial intelligence. With the dawning of the twenty-first century there arose another new approach to psychology, known as Positive psychology. Originally a development of humanistic psychologists' research on happiness and their focus on treating mental health rather than mental illness it is intended to complement, not to replace, traditional psychology. Positive psychology brought an emphasis on the importance of using the scientific method to understand normal development, including nurturing talent and genius and studying how each individual can fulfill their potential as a human being. The first use of the term "Psychology" is often attributed to the Yucologia hoc est de hominis perfectione, anima, ortu, written by the German scholastic philosopher Rudolf Göckel (1547-1628, often known under the Latin form Rudolph Goclenius), and published in Marburg in 1590. Another early use of the term was by Otto Casmann (1562-1607). Among his numerous works from the field of philosophy, theology, and natural sciences is one that includes the word "psychology" in its title: Psychologia anthropologica printed in Hanau in 1594. Filip Melanchton is often cited as having used the term in his lectures about forty years earlier (Krstic, 1964). However, the term was used more than six decades earlier by the Croatian humanist Marko Marulić (1450-1524) in the title of his Latin treatise Psichiologia de ratione animae humanae. Although the treatise itself has not been preserved, its title appears in a list of Marulic's works compiled by his younger contemporary, Franjo Bozicevic-Natalis in his Vita Marci Maruli Spalatensis. This, of course, may well not have been the very first usage, but it is the earliest documented use at present (Krstic, 1964). The term did not come into popular usage until the German idealist philosopher, Christian Wolff used it in his Psychologia empirica and Psychologia rationalis (1732-1734). This distinction between empirical and rational psychology was picked up in Denis Diderot's Encyclopédie (1751-1784) and was popularized in France by Maine de Biran (1766-1824). In England, the term "psychology" did not overtake "mental philosophy" until the middle of the nineteenth century, in the work of William Hamilton (1788-1856) (Danziger 1997). Many cultures throughout history have speculated on the nature of the mind, soul, and spirit. In Ancient Egypt, the Edwin Smith Papyrus (1550 B.C.E.) contains an early description of the brain, and some speculations on its functions (though in a medical/surgical context). Though other medical documents of ancient times were full of incantations and applications meant to turn away disease-causing demons and other superstition, the Edwin Smith Papyrus gives remedies to almost 50 conditions and only one contains incantations to ward off evil. Ancient Greek philosophers from Thales (550 B.C.E.) through to the Roman period developed an elaborate theory of what they termed the psuchẽ (from which the first half of "psychology" is derived), as well as other (loosely speaking) "psychological" terms—nous, thumos, logistikon, and so forth (Everson 1991; Green and Groff 2003). The most influential of these are the accounts of Plato, especially in the Republic, and of Aristotle, especially in De Anima. The Dead Sea Scrolls Manual of Discipline (ca. 21 B.C.E.–61 C.E.) notes the division of human nature into two temperaments. In Asia, China had a long history of administering psychological tests as part of its education system. In the sixth century C.E., Lin Xie carried out an early psychological experiment, in which he asked people to draw a square with one hand and at the same time draw a circle with the other in order to test people's vulnerability to distraction. India, too, had an elaborate theory of the self in its Vedanta philosophical writings (Paranjpe 2010). During the Islamic Golden Age (ninth–thirteenth centuries). Islamic scholars developed the science of the Nafs (Haque 2004). Muslim scholarship was strongly influenced by Greek and Indian philosophy as well as by the study of scripture. In the writings of Muslim scholars, the term Nafs (self or soul) was used to denote individual personality, and encompassed a broad range of faculties including the qalb (heart), the ruh (spirit), the aql (intellect) and irada (will). The study of mental illness was a specialty of its own, known as al-‘ilaj al-nafs, approximately translated as "curing/treatment of the ideas/soul (Haque 2004). The Iraqi Arab scientist, Ibn al-Haytham (Alhacen), carried out a number of investigations on visual perception, including sensation, variations in sensitivity, sensation of touch, perception of colors, perception of darkness, the psychological explanation of the moon illusion, and binocular vision. In his Book of Optics Alhacen (1011 to 1021) argued that vision occurs in the brain, rather than the eyes. Alhacen's pioneering work on the psychology of visual perception and optical illusions led some to suggest that he could be considered be the "founder of experimental psychology" (Khaleefa 1999). Early Western psychology was regarded as the study of the soul (in the Christian sense of the term). Until the middle of the nineteenth century, psychology was widely regarded as a branch of philosophy, and was heavily influenced by the works of René Descartes (1596-1650). The philosophers of the British Empiricist and Associationist schools had a profound impact on the later course of experimental psychology. John Locke's An Essay Concerning Human Understanding (1689), George Berkeley's Treatise Concerning the Principles of Human Knowledge (1710), and David Hume's A Treatise of Human Nature (1739-1740) were particularly influential, as were David Hartley's Observations on Man (1749) and John Stuart Mill's A System of Logic (1843). Also notable was the work of some Continental Rationalist philosophers, especially Baruch Spinoza's On the Improvement of the Understanding (1662) and Gottfried Wilhelm Leibniz's New Essays on Human Understanding (completed 1705, published 1765). Also influential on the emerging discipline of psychology were debates surrounding the efficacy of Mesmerism (hypnosis) and the value of phrenology. 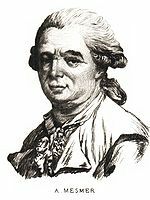 The former was developed in the 1770s by Austrian physician Franz Mesmer who claimed to use the power of gravity, and later of "animal magnetism," to cure various physical and mental ills. As Mesmer and his treatment became increasingly fashionable in both Vienna and Paris, it also began to come under the scrutiny of suspicious officials. Although discredited by an investigation commissioned by King Louis which included American ambassador Benjamin Franklin, chemist Antoine Lavoisier, and physician Joseph-Ignace Guillotin (later the popularizer of the guillotine), the "magnetic" tradition continued among Mesmer's students and others, resurfacing in England in the nineteenth century in the work of physicians John Elliotson (1791-1868), James Esdaile (1808-1859), and James Braid (1795-1860), who renamed it "hypnotism." In France the practice regained a strong following after it was investigated by the Nancy physician Hippolyte Bernheim (1840-1919) and adopted for the treatment of hysteria by the director of Paris's Salpêtrière Hospital, Jean-Martin Charcot (1825-1893). Phrenology began as "organology," a theory of brain structure developed by the German physician, Franz Joseph Gall (1758-1828). Gall argued that the brain is divided into a large number of functional "organs," each responsible for particular human mental abilities and dispositions—hope, love, spirituality, greed, language, the abilities to detect the size, form, and color of objects, and so forth. He argued that the larger each of these organs are, the greater the power of the corresponding mental trait. Further, he argued that one could detect the sizes of the organs in a given individual by feeling the surface of that person's skull. Although Gall had been a serious (albeit misguided) researcher, his theory was taken by his assistant, Johann Gaspar Spurzheim (1776-1832), and developed into the profitable, popular enterprise of phrenology, which soon spawned, especially in Britain, a thriving industry of independent practitioners. In the hands of Scottish religious leader George Combe (1788-1858) phrenology became strongly associated with political reform movements and egalitarian principles. Phrenology soon spread to America as well, where itinerant practical phrenologists assessed the mental well-being of willing customers. In its beginnings psychology was long regarded as a branch of philosophy. 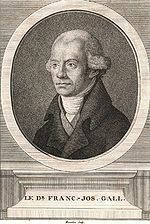 Immanuel Kant declared in his Metaphysical Foundations of Natural Science (1786) that a scientific psychology "properly speaking" is impossible. Johann Friedrich Herbart (1776-1841) took issue with Kant's conclusion and attempted to develop a mathematical basis for a scientific psychology. 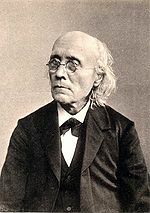 Although he was unable to render his theory empirically testable, his efforts did lead scientists such as Ernst Heinrich Weber (1795-1878) and Gustav Theodor Fechner (1801-1887) to try to measure the mathematical relationships between the physical magnitudes of external stimuli and the psychological intensities of the resulting sensations. Fechner is the originator of the term psychophysics. Meanwhile, individual differences in reaction time had become a critical issue in the field of astronomy, under the name of the "personal equation." The nineteenth century was also the period in which physiology, including neurophysiology, professionalized and saw some of its most significant discoveries. Charles Bell (1774-1843) and François Magendie (1783-1855) independently discovered the distinction between sensory and motor nerves in the spinal column, Johannes Müller (1801-1855) proposed the doctrine of specific nerve energies, Emil du Bois-Reymond (1818-1896) studied the electrical basis of muscle contraction, Pierre Paul Broca (1824-1880) and Carl Wernicke (1848-1905) identified areas of the brain responsible for different aspects of language, and Gustav Fritsch (1837-1927), Eduard Hitzig (1839-1907), and David Ferrier (1843-1924) localized sensory and motor areas of the brain. One of the principal founders of experimental physiology, Hermann von Helmholtz (1821-1894), conducted studies of a wide range of topics that would later be of interest to psychologists—the speed of neural transmission, the natures of sound and color, and of our perception of them, and so on. In the 1860s, while he held a position in Heidelberg, Helmholtz engaged as an assistant a young doctor named Wilhelm Wundt. Wundt employed the equipment of the physiology laboratory to address more complicated psychological questions than had until then been considered experimentally. In particular he was interested in the nature of apperception—the point at which a perception comes into the central focus of conscious awareness. In 1874 Wundt took up a professorship in Zurich, where he published his landmark textbook, Grundzüge der physiologischen Psychologie (Principles of Physiological Psychology, 1874). Moving to a more prestigious professorship in Leipzig in 1875, Wundt founded a laboratory specifically dedicated to original research in experimental psychology in 1879, the first laboratory of its kind in the world. In 1883, he launched a journal in which to publish the results of his, and his students', research, Philosophische Studien (Philosophical Studies). Wundt attracted a large number of students not only from Germany but also from abroad. Among his most influential American students were Granville Stanley Hall (who had already obtained a Ph.D. from Harvard under the supervision of William James), James McKeen Cattell (who was Wundt's first assistant), and Frank Angell. The most influential British student was Edward Bradford Titchener (who later became professor at Cornell). Experimental psychology laboratories were soon also established at Berlin by Carl Stumpf (1848-1936) and at Göttingen by Georg Elias Müller (1850-1934). Another major German experimental psychologist of the era, though he did not direct his own research institute, was Hermann Ebbinghaus (1850-1909). Experimentation was not the only approach to psychology in the German-speaking world at this time. Starting in the 1890s, employing the case study (traditional in medicine at the time), the Viennese physician Sigmund Freud developed and applied the methods of hypnosis, free association, and dream interpretation to reveal putatively unconscious beliefs and desires that he argued were the underlying causes of his patients' "hysteria." He dubbed this approach psychoanalysis. Psychoanalysis is particularly notable for the emphasis it places on the course of an individual's sexual development in pathogenesis. Freud based his model of child development on his own and his patients' recollections of their childhood. He developed a stage model of development in which the libido, or sexual energy, of the child focuses on different "zones" or areas of the body as the child grows to adulthood. Although the details of Freud's developmental theory have been widely criticized, his emphasis on the importance of early childhood experiences, prior to five years of age, has had a lasting impact. His psychoanalytic concepts have also had a strong and lasting influence on Western culture, particularly on the arts. Around 1875, the Harvard physiology instructor, William James, opened a small experimental psychology demonstration laboratory for use with his courses. In 1878, James gave a series of lectures at Johns Hopkins University entitled “The Senses and the Brain and their Relation to Thought” in which he argued, contra Thomas Henry Huxley, that consciousness is not epiphenomenal, but must have an evolutionary function, or it would not have been naturally selected in humans. The same year James was contracted by Henry Holt to write a textbook on the "new" experimental psychology. If he had written it quickly, it would have been the first English-language textbook on the topic. It was twelve years, however, before his two-volume Principles of Psychology would be published. In the meantime textbooks were published by George Trumbull Ladd of Yale (1887) and James Mark Baldwin then of Lake Forest College (1889). In 1879 Charles Sanders Peirce was hired as a philosophy instructor at Johns Hopkins University. Although better known for his astronomical and philosophical work, Peirce also conducted what are perhaps the first American psychology experiments, on the subject of color vision, published in 1877 in the American Journal of Science. Peirce and his student Joseph Jastrow also published "On Small Differences in Sensation" in the Memoirs of the National Academy of Sciences, in 1884. In 1882, Peirce was joined at Johns Hopkins by Granville Stanley Hall, who opened the first American research laboratory devoted to experimental psychology in 1883. Peirce was forced out of his position by scandal and Hall was awarded the only professorship in philosophy at Johns Hopkins. In 1887 Hall founded the American Journal of Psychology, which published work primarily emanating from his own laboratory. In 1888 Hall left his Johns Hopkins professorship for the presidency of the newly-founded Clark University, where he remained for the rest of his career. Soon, experimental psychology laboratories were opened at the University of Pennsylvania (in 1887, by James McKeen Cattell), Indiana University (1888 by William Lowe Bryan), the University of Wisconsin-Madison (1888 by Joseph Jastrow), Clark University (1889 by Edmund Clark Sanford), the McLean Asylum (1889 by William Noyes), and the University of Nebraska (1889 by Harry Kirke Wolfe). In 1890, William James' Principles of Psychology finally appeared, and rapidly became the most influential textbook in the history of American psychology. It laid many of the foundations for the questions that American psychologists would focus on for years to come. The book's chapters on consciousness, emotion, and habit were particularly agenda-setting. Group photo 1909 in front of Clark University. 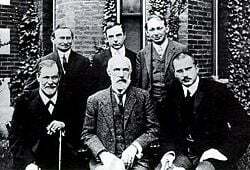 Front row: Sigmund Freud, Granville Stanley Hall, Carl Jung; back row: Abraham A. Brill, Ernest Jones, Sandor Ferenczi. In 1892, G. Stanley Hall invited 30-some psychologists and philosophers to a meeting at Clark with the purpose of founding a new American Psychological Association (APA). The first annual meeting of the APA was held later that year, hosted by George S. Fullerton at the University of Pennsylvania. Almost immediately tension arose between the experimentally- and philosophically-inclined members of the APA. Edward Bradford Titchener and Lightner Witmer launched an attempt to either establish a separate "Section" for philosophical presentations, or to eject the philosophers altogether. In 1894, a number of psychologists, unhappy with the parochial editorial policies of the American Journal of Psychology approached Hall about appointing an editorial board and opening the journal out to more psychologists not within Hall's immediate circle. Hall refused, so James McKeen Cattell (then of Columbia) and James Mark Baldwin (then of Princeton) co-founded a new journal, Psychological Review, which rapidly grew to become a major outlet for American psychological researchers. Beginning in 1895, James Mark Baldwin (Princeton) and Edward Bradford Titchener (Cornell) entered into an increasingly acrimonious dispute over the correct interpretation of some anomalous reaction time findings that had come from the Wundt laboratory (originally reported by Ludwig Lange and James McKeen Cattell). In 1896, James Rowland Angell and Addison W. Moore (Chicago) published a series of experiments in Psychological Review appearing to show that Baldwin was the more correct of the two. However, they interpreted their findings in light of John Dewey's new approach to psychology, which rejected the traditional stimulus-response understanding of the reflex arc in favor of a "circular" account in which what serves as "stimulus" and what as "response" depends on how one views the situation. The full position was laid out in Dewey's landmark article "The Reflex Arc Concept in Psychology" which also appeared in Psychological Review in 1896. Titchener responded in Philosophical Review (1898, 1899) by distinguishing his austere "structural" approach to psychology from what he termed the Chicago group's more applied "functional" approach, and thus began the first major theoretical rift in American psychology between Structuralism and Functionalism. Academic philosophy in France through the middle part of the nineteenth century was controlled by members of the eclectic and spiritualist schools, led by figures such as Victor Cousin (1792-1867), Théodore Jouffroy (1796-1842), and Paul Janet (1823-1899). These were traditional metaphysical schools, opposed to regarding psychology as a natural science. From 1870 forward, a steadily increasing interest in positivist, materialist, evolutionary, and deterministic approaches to psychology developed, influenced by, among others, the work of Hyppolyte Taine (1828-1893) (such as De L'Intelligence, 1870) and Théodule Ribot (1839-1916) (such as La Psychologie Anglaise Contemporaine, 1870). In 1876, Ribot founded Revue Philosophique (the same year as Mind was founded in Britain), which for the next generation would be virtually the only French outlet for the "new" psychology. Although not a working experimentalist himself, Ribot's many books were to have profound influence on the next generation of psychologists. These included especially his L'Hérédité Psychologique (1873) and La Psychologie Allemande Contemporaine (1879). In the 1880s, Ribot's interests turned to psychopathology, writing books on disorders of memory (1881), will (1883), and personality (1885), and where he attempted to bring to these topics the insights of general psychology. France's primary psychological strength lay in the field of psychopathology. The chief neurologist at the Salpêtrière Hospital in Paris, Jean-Martin Charcot (1825-1893), had been using the recently revived and renamed practice of hypnosis to "experimentally" produce hysterical symptoms in some of his patients. Two of his students, Alfred Binet (1857-1911) and Pierre Janet (1859-1947), adopted and expanded this practice in their own work. 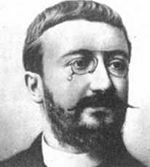 In 1889, Binet and his colleague Henri Beaunis (1830-1921) co-founded, at the Sorbonne, the first experimental psychology laboratory in France. Just five years later, in 1894, Beaunis, Binet, and a third colleague, Victor Henri (1872-1940), co-founded the first French journal dedicated to experimental psychology, L'Année Psychologique. In the first years of the twentieth century, Binet was requested by the French government to develop a method for the newly-founded universal public education system to identify students who would require extra assistance to master the standardized curriculum. In response, with his collaborator Théodore Simon (1873-1961), he developed the Binet-Simon Intelligence test, first published in 1905 (revised in 1908 and 1911). With Binet's death in 1911, the Sorbonne laboratory and L'Année Psychologique fell to Henri Piéron (1881-1964), whose orientation was more physiological that Binet's. Pierre Janet became the leading psychiatrist in France, being appointed to the Salpêtrière (1890-1894), the Sorbonne (1895-1920), and the Collège de France (1902-1936). In 1904, he co-founded the Journale de Psychologie Normale et Pathologique with fellow Sorbonne professor Georges Dumas (1866-1946), a student and faithful follower of Ribot. Whereas Janet's teacher, Jean-Martin Charcot, had focused on the neurological bases of hysteria, Janet was concerned to develop a scientific approach to psychopathology as a mental disorder. 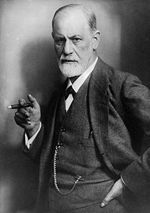 His theory that mental pathology results from conflict between unconscious and conscious parts of the mind, and that unconscious mental contents may emerge as symptoms with symbolic meanings led to a public dispute with Sigmund Freud. Although the first scholarly journal dedicated to the topic of psychology—Mind, founded in 1876 by Alexander Bain and edited by George Croom Robertson—was British, experimental psychology did not develop there for some time due to the strong tradition of "mental philosophy." The experimental reports that appeared in Mind in the first two decades of its existence were almost entirely authored by Americans, especially G. Stanley Hall and his students (notably Henry Herbert Donaldson) and James McKeen Cattell. In 1884, Francis Galton (1822-1911) opened his anthropometric laboratory where people were tested on a wide variety of physical (such as strength of blow) and perceptual (such as visual acuity) attributes. In 1886 Galton was visited by James McKeen Cattell who would later adapt Galton's techniques in developing his own mental testing research program in the United States. 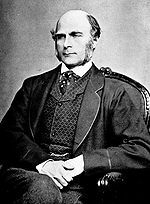 Galton was not primarily a psychologist, however. The data he accumulated in the anthropometric laboratory primarily went toward supporting his case for eugenics. To help interpret the mounds of data he accumulated, Galton developed a number of important statistical techniques, including the precursors to the scatterplot and the product-moment correlation coefficient (later perfected by Karl Pearson, 1857-1936). 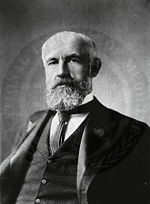 Soon after, Charles Spearman (1863-1945) developed the correlation-based statistical procedure of factor analysis in the process of building a case for his two-factor theory of intelligence, published in 1901. Spearman believed that people have an inborn level of general intelligence or g which can be crystallized into a specific skill in any of a number of narrow content area (s, or specific intelligence). Although the philosopher James Ward (1843-1925) urged Cambridge University to establish a psychophysics laboratory from the mid-1870s forward, it was not until the 1891 that they put so much as £50 toward some basic apparatus (Bartlett 1937). A laboratory was established through the assistance of the physiology department in 1897 and a lectureship in psychology was established which first went to W.H.R. Rivers (1864-1922). Soon Rivers was joined by C.S. Myers (1873-1946) and William McDougall (1871-1938). This group showed as much interest in anthropology as psychology, going with Alfred Cort Haddon (1855-1940) on the famed Torres Straits expedition of 1898. In 1901 the Psychological Society was established (which renamed itself the British Psychological Society in 1906), and in 1904 Ward and Rivers co-founded the British Journal of Psychology. C. Lloyd Morgan (1852-1936) was an early British psychologist who pursued an experimental approach to animal psychology, and thus contributed to the establishment of psychology as a science. "Morgan's canon" (perhaps the most quoted statement in the history of comparative psychology) states that higher psychological processes should not be used to explain behavior that can be explained by processes lower on the evolutionary scale, without independent evidence of the use of such higher processes on other occasions. This Canon, misrepresented as a specialized form of Occam's razor namely that the simplest process should always be invoked as the explanation for behavior, played a critical role in the acceptance of Behaviorism in twentieth century academic psychology. In 1896, one of Wilhelm Wundt's former Leipzig laboratory assistants, Oswald Külpe (1862-1915), founded a new laboratory in Würzburg. Külpe soon surrounded himself with a number of younger psychologists, most notably Karl Bühler (1879-1963), Ernst Dürr (1878-1913), Karl Marbe (1869-1953), and Scottish experimental psychologist Henry Jackson Watt (1879-1925). Collectively, they developed a new approach to psychological experimentation that flew in the face of many of Wundt's restrictions. Wundt had drawn a distinction between the old philosophical style of self-observation (Selbstbeobachtung) in which one introspected for extended durations on higher thought processes and inner-perception (innere Wahrnehmung) in which one could be immediately aware of a momentary sensation, feeling, or image (Vorstellung). The former was declared to be impossible by Wundt, who argued that higher thought could not be studied experimentally through extended introspection: "we learn little about our minds from casual, haphazard self-observation...It is essential that observations be made by trained observers under carefully specified conditions for the purpose of answering a well-defined question" (Wundt 1904). The Würzburgers, by contrast, designed experiments in which the experimental subject was presented with a complex stimulus (such as a Nietzschean aphorism or a logical problem) and after processing it for a time (interpreting the aphorism or solving the problem), retrospectively reported to the experimenter all that had passed through his consciousness during the interval. In the process, the Würzburgers claimed to have discovered a number of new elements of consciousness (over and above Wundt's sensations, feelings, and images) including Bewußtseinslagen (conscious sets), Bewußtheiten (awarenesses), and Gedanken (thoughts). In the English-language literature, these are often collectively termed "imageless thoughts," and the debate between Wundt and the Würzburgers as the "imageless thought controversy." This debate is often said to have been instrumental in undermining the legitimacy of all introspective methods in experimental psychology and, ultimately, in bringing about the behaviorist revolution in American psychology. Gestalt psychology, emerging in Germany in the early twentieth century, was a radical change from the psychology of Wilhelm Wundt who sought to understand the human mind by identifying the constituent parts of human consciousness in the same way that a chemical compound is broken into various elements. It also offered an alternative to the approach of Sigmund Freud, which was complex yet fraught with the complications of psychopathology. This group was not interested in mental illness; they sought to understand the processes of the healthy human mind, and in a scientific yet holistic fashion. They argued that the psychological "whole" has priority and that the "parts" are defined by the structure of the whole, rather than vice versa. Thus, the school was named Gestalt, a German term meaning approximately "form" or "configuration." It was led by Max Wertheimer (1880-1943), Wolfgang Köhler (1887-1967), and Kurt Koffka (1886-1941). The key argument in Gestalt psychology is that the nature of the parts and the whole are interdependent—the whole is not just the sum of its parts. The whole must be examined to discover what its part are, rather than trying to abstract the whole from analyzing the parts. For example, when one listens to music one hears the melody first and only then may perceptually divide it up into notes. We are directly aware of the configuration as a whole structure, its properties are perceived subsequent and secondarily to the perception of the whole; thus, the melody may be transposed into a different key using completely different notes, yet still be instantly recognizable to the listener. Starting with the observation of apparent movement, an illusion known as the "phi phenomenon," Wertheimer and his colleagues, Koffka and Köhler who served as his first experimental subjects, devised numerous experiments on visual perception, addressing not just the physiological capabilities of human eyes and brain, but the complexity of our interpretation of sensory input. In 1912, Wertheimer published a seminal paper on Experimentelle studien über das Sehen von Bewegung ("Experimental Studies in the Perception of Movement"), which his students referred to informally as his Punkerbeit or “dot paper” because its illustrations were abstract patterns made of dots. The collaborative work of the three Gestalt psychologists was interrupted by World War I. Both Wertheimer and Koffka were assigned to war-related research, while Köhler was appointed the director of an anthropoid research station on Teneriffe, in the Canary Islands. In 1917 Köhler published the results of four years of research on learning in chimpanzees. He showed, contrary to the claims of most other learning theorists, that animals can learn by "sudden insight" into the "structure" of a problem, over and above the associative and incremental manner of learning that Ivan Pavlov (1849-1936) and Edward Lee Thorndike (1874-1949) had demonstrated with dogs and cats, respectively. After the war, Koffka returned to Frankfurt, while Köhler became the director of the Psychological Institute at the University of Berlin, where Wertheimer was already on the faculty. Using the abandoned rooms of the Imperial Palace, they established a now-famous graduate school, in tandem with a journal called Psychologische Forschung (Psychological Research: Journal of Psychology and its Neighboring Fields), in which they published their students’ and their own research. With the help of American psychologist Robert Ogden, Koffka introduced the Gestalt point of view to an American audience in 1922 by way of a paper in Psychological Bulletin. Ogden also translated Koffka's The Growth of the Mind in 1924, and that same year he arranged for Koffka to spend a year at Cornell. Koffka remained in the United States, eventually settling at Smith College in 1927. In the 1930s, with the rise of Adolf Hitler and Nazism, all the core members of the Gestalt movement were forced out of Germany to the United States. In 1935 Koffka published his Principles of Gestalt Psychology. This textbook laid out the Gestalt vision, systematizing and advancing the ideas to the academic community. After his move to the United States, Wertheimer pursued research on problem solving, which he preferred to call "productive thinking" to distinguish it from "reproductive" thinking, the simple associative or trial and error learning that involved no insight. Such problem solving involves a transition from a situation which is meaningless or incomprehensible to one in which the meaning is clear, and Wertheimer argued that this is more than just making new connections, it involves structuring the information in a new way, forming a new Gestalt. He maintained contact with Koffka and Köhler, whose earlier work with chimpanzees on insight was along similar lines. In 1940, Köhler published another book, Dynamics in Psychology, but thereafter the Gestalt movement suffered a series of setbacks. Koffka died in 1941 and Wertheimer in 1943. Wertheimer's long-awaited book on mathematical problem solving, Productive Thinking was published posthumously in 1945, but Köhler was left to guide the movement without his two long-time colleagues. The scientific study of children began in the late nineteenth century, and blossomed in the early twentieth century as pioneering psychologists sought to uncover the secrets of human behavior by studying psychological development. Three early scholars, John Locke, Jean-Jacques Rousseau, and Charles Darwin proposed theories of human behavior that are the "direct ancestors of the three major theoretical traditions" (Vasta et al 1998, 10) of developmental psychology today. Locke, a British empiricist, adhered to a strict environmentalist position, that the mind of the newborn as a tabula rasa ("blank slate") on which knowledge is written through experience and learning. Rousseau, a Swiss philosopher who spent much of his life in France, proposed a nativistic model in his famous novel Emile, in which development occurs according to innate processes progressing through three stages: infans (infancy), puer (childhood), and adolescence. Finally, the work of Darwin, the British biologist famous for his theory of evolution, led others to suggest that development proceeds through evolutionary recapitulation, with many human behaviors having their origins in successful adaptations in the past as "ontogeny recapitulates phylogeny." The Swiss psychologist Jean Piaget's stage theory of cognitive development revolutionized our view of children's thinking and learning. His work inspired more research than any other theorist, and many of his concepts are foundational to developmental psychology. His interest lay in children's knowledge, their thinking, and the qualitative changes in their thinking as it develops. Piaget's theory is "interactionist"—assigning importance to both "nature" and "nurture"—he called his field "genetic epistemology" stressing the role of biological determinism, but also emphasized the role of experience. In his view, children "construct" their knowledge through processes of "assimilation," in which they evaluate and try to understand new information, based on their existing knowledge of the world, and "accommodation," in which they expand and modify their cognitive structures based on new experiences. In addition to impacting the direction of developmental psychology, Piaget's prolific output also stimulated the development of the field of cognitive psychology, in large part by those who sought to disprove his theory. As a result of the conjunction of a number of events in the early twentieth century, Behaviorism gradually emerged as the dominant school in American psychology. First among these was the increasing skepticism with which many viewed the concept of consciousness: Although still considered to be the essential element separating psychology from physiology, its subjective nature and the unreliable introspective method it seemed to require, troubled many. C. Lloyd Morgan's famous "Canon," stating that higher psychological processes should not be used to explain behavior that can be explained by processes lower on the evolutionary scale without independent evidence of the use of such higher processes on other occasions (Morgan 1894), appeared to support the view that an entity should be considered conscious only if there was no other explanation for its behavior. 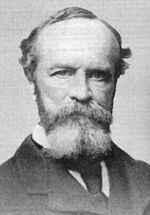 William James' 1904 article "Does Consciousness Exist?" laid out the worries explicitly; and Robert M. Yerkes's 1905 article "Animal Psychology and the Criteria of the Psychic" raised the general question of when one is entitled to attribute consciousness to an organism. Second was the gradual rise of a rigorous animal psychology. Edward Lee Thorndike worked with cats in puzzle boxes in 1898, and of research in which rats learn to navigate mazes was begun by Willard Small, who published two articles in the American Journal of Psychology (1900, 1901). The work of Russian Ivan Pavlov on conditioning in dogs began to be published in English in 1909. A third factor was the rise of John B. Watson to a position of significant power within the psychological community. In 1908, Watson was offered a junior position at Johns Hopkins by James Mark Baldwin. In addition to heading the Johns Hopkins department, Baldwin was the editor of the influential journals, Psychological Review and Psychological Bulletin. Only months after Watson's arrival, Baldwin was forced to resign his professorship due to scandal. Watson was suddenly made head of the department and editor of Baldwin's journals. In 1913 he published in Psychological Review the article that is often called the "manifesto" of the Behaviorist movement, "Psychology as the Behaviorist Views It." There he argued that psychology "is a purely objective experimental branch of natural science," "introspection forms no essential part of its methods..." and "The behaviorist... recognizes no dividing line between man and brute." The following year, 1914, his first textbook, Behavior went to press. The central tenet of early behaviorism was that psychology should be a science of behavior, not of the mind, and rejected internal mental states such as beliefs, desires, or goals. Watson's 1928 book, Psychological Care of the Infant and Child, presented his view that all behavior is the product of environment and experience with no important contribution by biological factors, and that all learning takes place through a process of association or "conditioning," as proposed by Pavlov. Watson himself, however, was forced out of Johns Hopkins by scandal in 1920. Although he continued to publish during the 1920s, he eventually moved on to a career in advertising. Behaviorism as a guiding psychological theory, however, was embraced and extended by such as Edward Thorndike, Clark L. Hull, Edward C. Tolman, and later B. F. Skinner. Throughout the first half of the twentieth century, Behaviorism reigned as the dominant model in American psychology, creating conditioning theories as scientific models of human behavior and successfully applying them in the workplace and fields such as advertising and military science. Cognitive psychology developed as a separate area within the discipline in the late 1950s and early 1960s, following the "cognitive revolution" ignited by Noam Chomsky's 1959 critique of Behaviorism and Empiricism in general. Chomsky reviewed Skinner's book Verbal Behavior (that aimed to explain language acquisition in a behaviorist framework), showing that language could not be learned solely from the sort of operant conditioning that Skinner postulated. 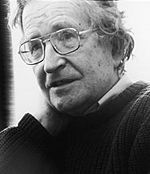 Chomsky's argument was that as people could produce an infinite variety of sentences unique in structure and meaning, and that these could not possibly be generated solely through experience of natural language. As an alternative, he concluded that there must be internal mental structures—states of mind of the sort that Behaviorism rejected as illusory. Ulric Neisser coined the term "cognitive psychology" in his book Cognitive Psychology, published in 1967, in which he characterized people as dynamic information processing systems whose mental operations might be described in computational terms. The rise of computer technology and artificial intelligence also promoted the metaphor of mental function as information processing. This, combined with a scientific approach to studying the mind, as well as a belief in internal mental states, led to the rise of cognitivism as the dominant model of the mind. Links between brain and nervous system function also became common, partly due to the experimental work of people like Charles Sherrington and Donald Hebb, and partly due to studies of people with brain injury. With the development of technologies for accurately measuring brain function, neuropsychology and cognitive neuroscience became some of the most active areas in psychology. With the increasing involvement of these other disciplines in the quest to understand the mind, the umbrella discipline of cognitive science was created as a means of focusing such efforts in a constructive way. Not all psychologists, however, were happy with what they perceived as mechanical models of the mind and human nature associated with the Behaviorist approach (the "first force"). Nor were they satisfied with the field of "depth psychology" (the "second force") that grew out of Freud's psychoanalytic approach and the work of Alfred Adler, Erik H. Erikson, Carl Jung, Erich Fromm, Otto Rank, Melanie Klein, and others. These theorists focused on the "depth" or unconscious realm of the human psyche, which, they stressed, must be combined with the conscious mind in order to produce a healthy human personality. Humanistic psychology, sometimes called the "third force" in psychology, emerged in the late 1950s with two meetings held in Detroit, Michigan attended by psychologists who were interested in founding a professional association dedicated to a new vision of human development: a complete description of what it is to be a human being, especially the uniquely human aspects of experience, such as love and hope. Thus, they were also dissatisfied with the almost contemporary cognitivist view of the human mind as a computer, just processing information. The humanistic approach stresses a phenomenological view of human experience and seeks to understand human beings and their behavior by conducting qualitative research. Many humanist psychologists completely reject a scientific approach, arguing that trying to turn human experience into measurements strips it of all meaning and relevance to lived existence. Some of the founding theorists behind this school of thought are Abraham Maslow, who formulated a hierarchy of human needs; Carl Rogers, who created and developed Client-centered therapy; and Fritz Perls, who helped create and develop Gestalt therapy. A further development of Humanistic psychology emerging in the 1970s was Transpersonal psychology, which studies the spiritual dimension of humanity. With the dawning of the twenty-first century Positive psychology arose, originally a development of humanistic psychologists' research on happiness and their focus on treating mental health rather than mental illness. The term "positive psychology" originates with Maslow whose last chapter of Motivation and Personality (Maslow 1970) is entitled "Toward a Positive Psychology." It was Martin Seligman, though, who is considered the father of the modern positive psychology movement, after he introduced it as the theme for his term as president of the American Psychological Association. This approach is intended to complement, not replace, traditional psychology as it focuses on nurturing genius and to understand normal growth and development: "We believe that a psychology of positive human functioning will arise, which achieves a scientific understanding and effective interventions to build thriving in individuals, families, and communities" (Seligman and Csikszentmihalyi 2000). Bartlett, F.C. 1937. Cambridge, England: 1887-1937. American Journal of Psychology 50: 97-110. Cadwallader, T.C. 1974. Charles S. Peirce (1839-1914): The first American experimental psychologist. Journal of the History of the Behavioral Sciences 10: 291-298. Chomsky, Noam. 1967. "A Review of B. F. Skinner's Verbal Behavior." In Leon A. Jakobovits and Murray S. Miron (eds. ), Readings in the Psychology of Language. Prentice-Hall. Includes "A Review of B. F. Skinner's Verbal Behavior" published in 1959 in Language 35(1): 26-58. Retrieved April 13, 2012. Froh, Jeffrey J. 2004. The History of Positive Psychology: Truth Be Told. NYS Psychologist (May/June): 18-20. Retrieved April 13, 2012. Green, Christopher D. 2000. Introduction to "Perception: An introduction to the Gestalt-Theorie" by Kurt Koffka (1922). Classics in the History of Psychology. Retrieved April 18, 2012. Haque, Amber. 2004. Psychology from Islamic perspective: Contributions of early Muslim scholars and challenges to contemporary Muslim psychologists. Journal of Religion and Health 43(4): 357-377. Retrieved April 11, 2012. Henle, Mary. 1978. One man against the Nazis: Wolfgang Köhler. American Psychologist 33: 939-944. Henle, Mary. 1984. Robert M. Ogden and Gestalt Psychology in America. Journal of the History of the Behavioral Sciences 20: 9-19. Khaleefa, Omar. 1999. Who Is the Founder of Psychophysics and Experimental Psychology? American Journal of Islamic Social Sciences (16) (2):1-26. Retrieved April 17, 2012. Koffka, Kurt. 1922. Perception: An Introduction to the Gestalt-theorie. Psychological Bulletin (19): 531-585. Retrieved April 17, 2012. Krstic, K. 1964. Marko Marulic—The Author of the Term "Psychology" Acta Instituti Psychologici Universitatis Zagrabiensis 36: 7-13. Retrieved April 11, 2012. Mesmer, Anton. 1779. Propositions Concerning Animal Magnetism. Retrieved April 17, 2012. Peirce, Charles S., and Joseph Jastrow. 1884. On small differences of sensation. Memoirs of the National Academy of Sciences (3): 75-83. Retrieved April 17, 2012. Seligman, Martin E.P., and Mihaly Csikszentmihalyi. 2000. Positive Psychology: An Introduction. American Psychologist (55)(1): 5–14. Watson, John B. 1913. Psychology as the Behaviorist Views it. Psychological Review 20: 158-177. Retrieved April 17, 2012. Wertheimer, Max. 1912. Experimentelle Studien über das Sehen Bewegung. Zeitschrift für Psychologie 61: 247-250. Wozniak, Robert H. 1997. Experimental and Comparative Roots of Early Behaviorism: An Introduction. Retrieved April 14, 2012. History of "History of psychology"
This page was last modified on 11 January 2018, at 16:31.